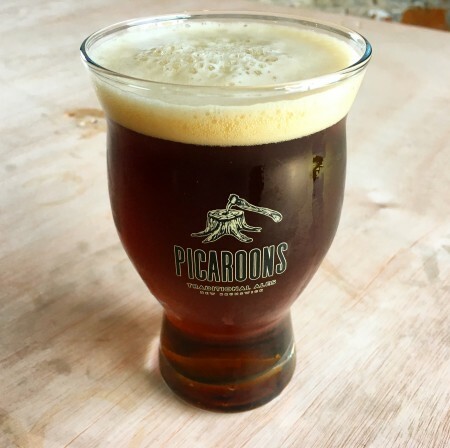 FREDERICTON, NB – Picaroons Traditional Ales has announced a new limited edition beer made using a tasty local ingredient. Little Honey is an approachable 4.5% alc./vol full-bodied brown-ish ale, that was brewed with a generous amount of rye malt and well, a ‘little honey’. It has a really nice lingering sweetness backed up by some nice toasted, almost graham cracker-ish, notes. Little Honey is on tap now at all Picaroons retail and taproom locations in New Brunswick. It will also be pouring next Saturday September 23rd in the “Bee-R Garden” at the Maritime Honey Festival.